Notepad Corner: 5 of the Best Clubs in Ibiza. 5 of the Best Clubs in Ibiza. The small island of Ibiza is home to some of the most famous nightclubs in the world. The Ibiza club scene is known for its world-class music, lively atmosphere, big name DJs, fantastic locations and up to 10,000 person capacities per club. Here is a list of the top 5 clubs in Ibiza. Privilege is an internationally known, supersized Ibizan nightclub. It is located between Ibiza Town and San Antonio. The club has a great deal of history, hosting some of the most famous parties on the island including the world-renowned Manumission night. The club caters for a range of music tastes, with names such as DJ Tiesto, Wiz Khalifa, Jamiroquai, Snoop Dogg and the Far East Movement. Privilege is a fantastic venue, with 25 metre high ceilings, one of the largest dance floors in the world, a swimming pool and stunning views over the island. If you are on a budget but still want to visit the most famous club in Ibiza, visit Privilege mid-week for half the price. 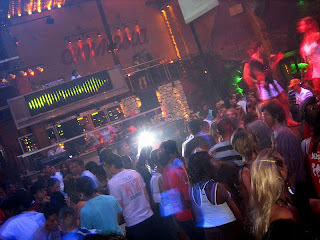 Amnesia is a famous club in Ibiza, located less than ten minutes' drive from San Antonio. The club is a favourite with techno and trance fans and hosts DJs such as Sven Vath, Carl Cox, Paul Van Dyke, Annie Mac and Tiesto. Amnesia has invested in advanced sound systems leading to the best quality sound on the island. The venue has more than 15 bars, podium dancers and spectacular coloured lasers that respond to sound. Space in Playa D'En Bossa, is arguably the most famous club in Ibiza, if not the world. The club is at the heart of the Ibiza dance scene making it a must do for any Ibiza novice. Space has won countless awards for best club or club night. 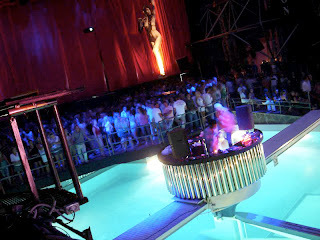 Although the venue is not as impressive as other clubs, Space's reputation for playing the best music in Ibiza has guaranteed its popularity. Space is not afraid to put on experimental nights or host wild one off parties. However, its legendary 22-hour, Sunday night marathon sessions is the reason many visit the club. Top names include Carl Cox, Sasha, Sven Vath and James Zabiela. The Zoo Project is located outside of San Antonio, in the Benimussa Hills. It is a unique experience that shouldn't be missed on a trip to Ibiza. The club is one of the hot spots for daytime clubbing and boasts possibly the most spectacular venue in Ibiza. The majority of the club is outdoors, with outdoor dancing space, decks, swimming pools, animal enclosures and even a seal pit. 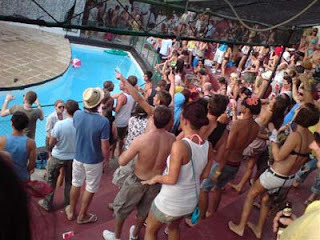 The Zoo Project is famous for its zoo themed fancy dress, underground house music and a daily barbecue for its guests. A list of Ibiza's top clubs would not be complete without mentioning the world-class Pacha nightclub, located in Avenida Ocho de Agosto. Pacha is one of the original Ibiza clubs with a history of hosting top DJs and artists. 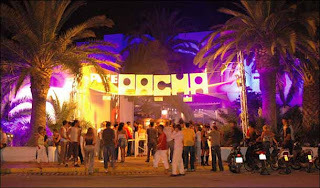 Pacha is open all year round and is a favourite with local people due to its authentic Balearic vibe. The club is classier than many others in Ibiza, with well-dressed crowds and a glamorous atmosphere attracting the rich and the famous. Pacha hosts internationally known DJs including Erick Morillo, David Guetta and the Swedish House Mafia. This article was contributed by John, a freelance travel writer and blogger, who is currently working on behalf of Cheap Flights – visit them today to get abroad for less. Ibiza has always been known as a party place and an excellent place ofr rest and relaxation. Never heard of these clubs but seems like they have huge patron :) Wanna go there too with some of my chosen friends. Good to hear of these nice party places even if I am not a party goer. It seems like there's no stopping the fun and excitement in IBIZA. The place is such a lively one that outgoing people will truly enjoy. Ibiza seems like a perfect place for those who wants to have fun,fun,fun. looks like you'll really never run out of exciting places to visit in Ibiza. Hope to go there someday.